Look left as you walk from McCormick Road toward the Lawn and you’ll see a fantastic tunnel effect leading down to the Chapel. 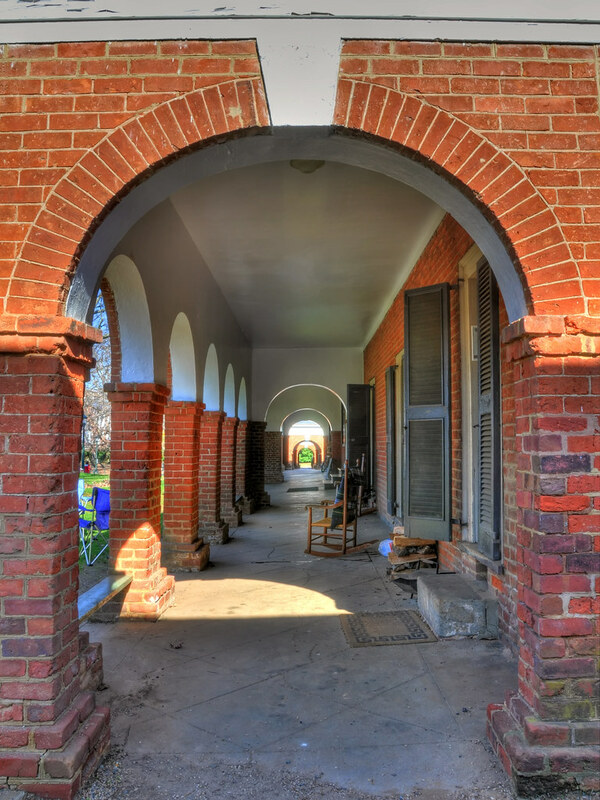 Underneath these archways is what’s known as “The Range,” a section of housing for grad students, which is part of the original Academical Village designed by none other than TJ himself. Despite the uniformity of the columns and doorways that provide this visual effect, each threshold is made unique by the flyers, furniture, whiteboards, decorations, and random adornments of whoever lives there. One room is permanently protected by a large pane of glass and houses early 19th century furnishings – the residence formerly occupied by Edgar Allan Poe, until his gambling debts caught up to his tuition. You're free to use any of these photos with credit and a link to the photo page. No commercial use without permission.